← Night At The Museum 3 Goes to London in Secrets of The Tomb! 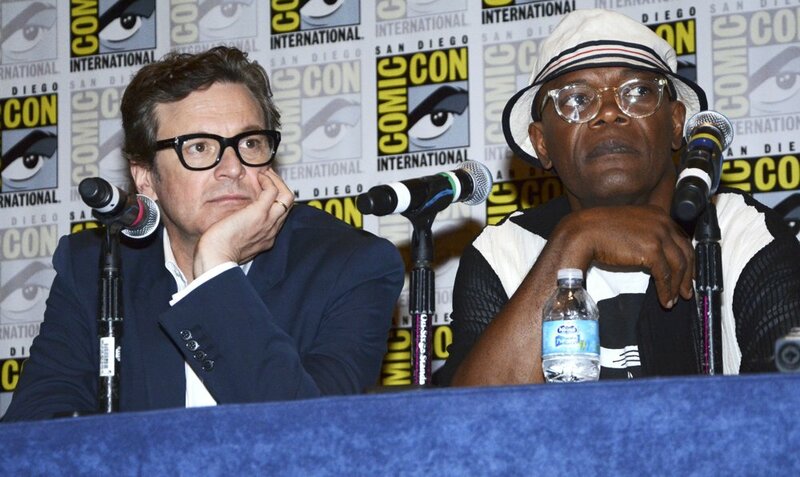 Colin Firth Press Conference Interrupted with Phone Call That Samuel L. Jackson Answers! “Will someone’s phone PLEASE ring” these actors are seemingly thinking. All in all I’d say it was a great press conference…I hope Colin and Samuel thought so too! If you haven’t already seen the TRAILER for Kingsman: Secret Service, check it out here. Colin kicks some major arse! Lady Anglophile…dialing up Colin as we speak! 1 Response to Colin Firth Press Conference Interrupted with Phone Call That Samuel L. Jackson Answers!